Canti Prosecco Brut is a popular Sparkling Wine available from Tesco Wine in 75cl to buy online. Visit Tesco Wine for the best price for 75cl of Canti Prosecco Brut or compare prices on our other Sparkling Wine products. Canti Prosecco is lively and crisp with delightful flavors of pear and peach. A light golden colour with fine and continuous bubbles. This Canti Prosecco is a typical part of heritage and traditions of Italian winemaking that have come to rival and beat some champagnes on flavour and value for money in recent years. Where to buy Canti Prosecco Brut ? Canti Prosecco Brut Supermarkets & Stockists. 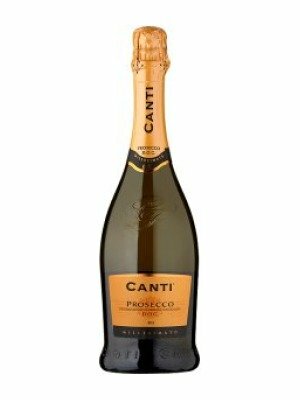 You can buy Canti Prosecco Brut online in most retailers and find it in the Sparkling Wine aisle in supermarkets but we found the best deals online for Canti Prosecco Brut in Tesco Wine, Tesco Groceries, and others. Compare the current price of Canti Prosecco Brut in 75cl size in the table of offers below. Simply click on the button to order Canti Prosecco Brut online now.